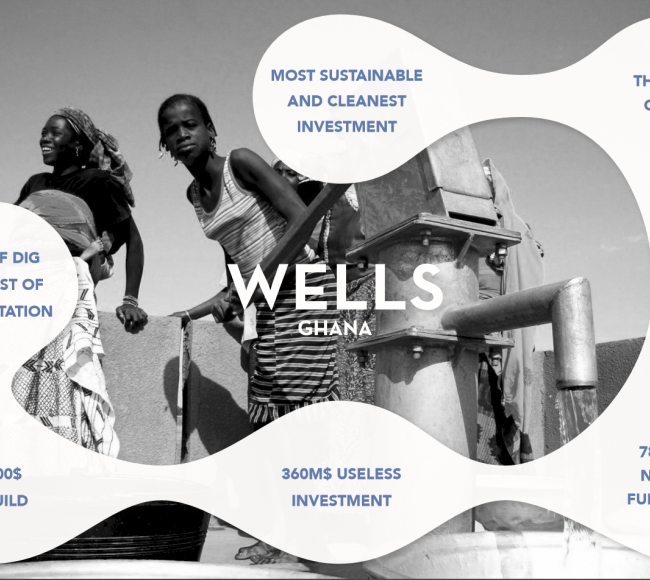 Our solution is focused on monitoring and maintaining water points in northern Ghana. 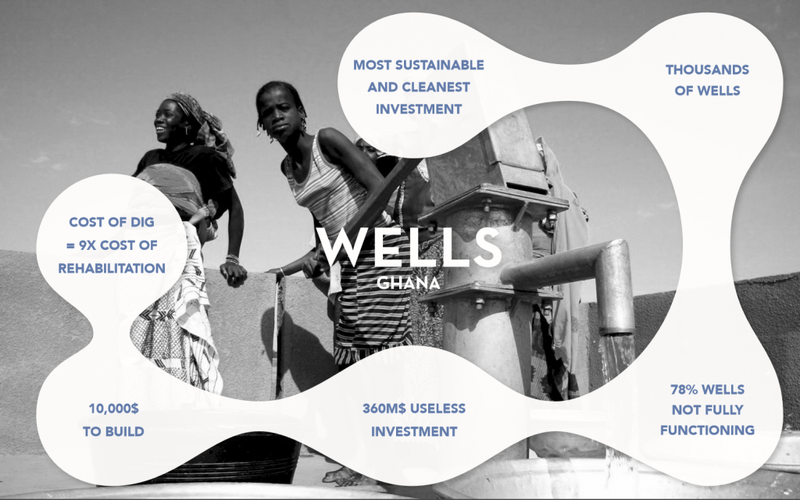 The more we focused on the well maintenance problem, common themes kept coming up, which are crucial for the ability to keep wells working. Without them, long-term sustainability of maintenance is not possible. We discovered that all these elements must be tackled together, as a water monitoring ecosystem, to make sure there is water always. Maintenance will be carried out through the sensors and plumbers network just described. However, for the maintenance to be sustainable, the rest of the parts of the model are necessary. Spare Parts Supply Chain – Knowing that spare parts shops are difficult to find in the northern region, we plan to have a pick-up point in Tamale, the capital of the Northern region, which will provide technicians with spare parts and tools needed for repair. We plan to use statistical optimization tools to set safety stock levels and minimize costs. Long-Term Finance – there has been evidence in case studies that show that when communities are provided reliable water service, then their willingness to pay increases. This is where our community financing transition model will come in; it will make sure communities will pay for affordable maintenance in the long term, but will be transitioned into a payment and service model that is reliable in phases. It will also serve as a long term exit strategy for funding NGOs. Community Engagement –we hope to engage the community by providing them with the information needed about the condition of nearby water sources, through the information point (placed with water group assigned wells), and through a mobile information request (voice).